If you want to make your photo look more interesting, trippy camera apps are a good option for you. Sometimes called glitch art, it has been used for decades already by artists and photographers. You can utilize unique filters that will make the photo look quirkier. 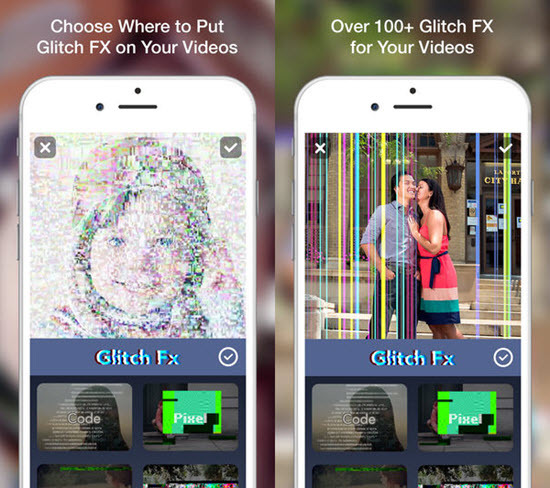 The visual distortion technique of these apps enables users to achieve a “glitched” look as if the camera just had a momentary malfunction. In this article, we will be sharing seven iPhone photo editor apps that you should try out if you want to edit your photos so it will look trippy. Tips: If you lost or deleted edited photos, or accidentally wrong trimmed videos on iPhone, you can always use Jihosoft iPhone Data Recovery to get back deleted media files from your iOS device or backup. 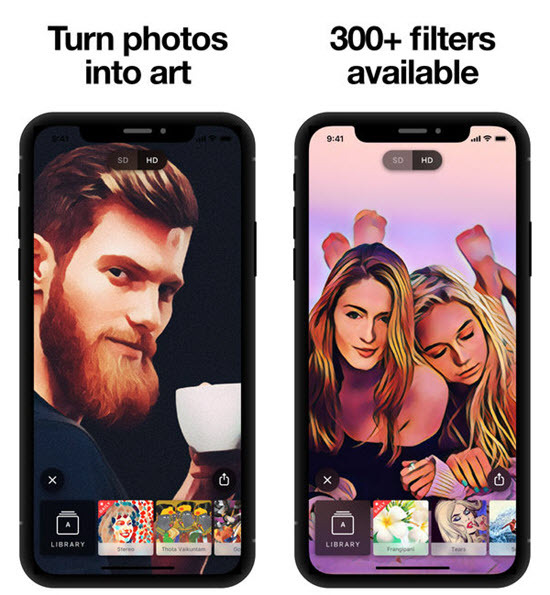 Prisma is distinctive due to the artificial intelligence that helps achieve an artistic effect, and this artificial intelligence helps you make beautiful art. It provides an option for users to transform your images into the styles of famous artists. Prisma also supports video filters for users. Enlight is a no-nonsense kind of app in the sense that it has a straightforward interface. It is easy to navigate and use, which is why it won an Apple Design Award. You can do a variety of effects on this app, from small changes to complex double-exposure updates. Enlight has a lot of presets and tools that can assist you in achieving the look you want of your photos on iPhone. In fact, you can go beyond just glitch art to oil painting and other art styles. If you want to create glitch art with your photos but you have no idea what exactly to do, Glitch would be the app that can help you. This app offers random and realistic glitch alterations to your existing images. The changes come in the form of multiplier effects and filters. Once you are done editing, you can save the image to your iPhone gallery. It also facilitates Effect Control for both the editing and recording processes. 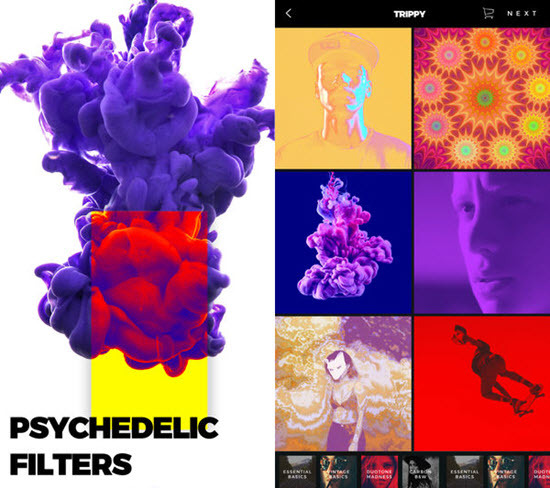 Just from the name, you can already sense that Trippy is a popular option for those looking to make glitch art on iPhones. Among other apps in this list, this app produces the most realistic output, which is why people are using it. 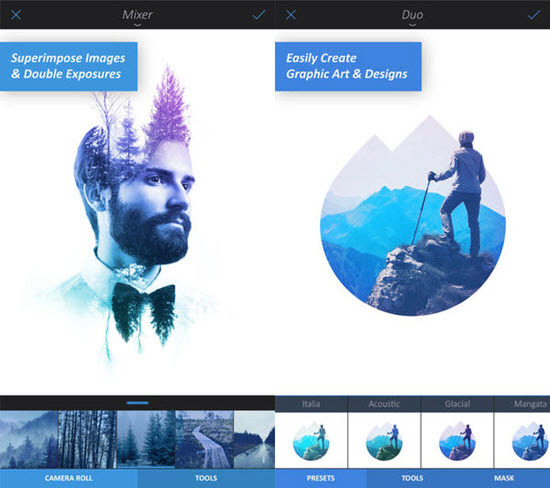 Trippy has a whole library of effects that can be applied to your photos. You are allowed to be as weird as possible with this platform as you can mix filters and textures together. It is convenient as you do not have to learn Photoshop or other complicated image editing software. Once you are finished applying effects on the photo, you will see that it is already a stunning digital art. 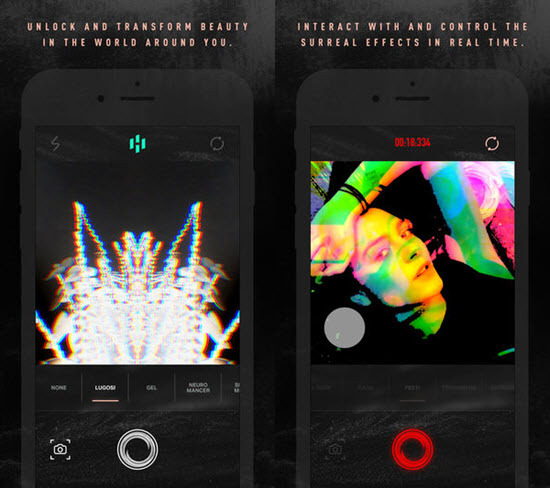 The actual Trippy app can be downloaded for free. But you will only be able to edit with your images if you purchase the stunning photo filters. Glitché sounds posh, which is why a lot of people tend to avoid as they think it could be too complicated. But it deserves the classy name because of the magnificent library of effects it can provide. The good thing with Glitché is the variety of tools and effects. After all, there is a reason why Glitch is No. 1 Photo & Video app in iOS devices in more than 100 countries. The app itself is only $1. But for you to export high-resolution photos and videos, you have to shell out $3 for each output. Hyperspektiv is a favorite of many glitch art fans. The apps is described on its official page as a “reality distortion app”, which is pretty accurate. What makes Hyperspektiv unique is the fact that it has two main functions: The first one is that it can act as a real-time trippy camera; the second one is it can post-process existing photos to glitch art. It is also great because you can edit both photos and videos on it. You can even produce 16:9 widescreen video clips, something that no other apps in this list can do. Hyperspektiv is technically not a free app. But it is incredibly cheap as you only have to shell out $1. 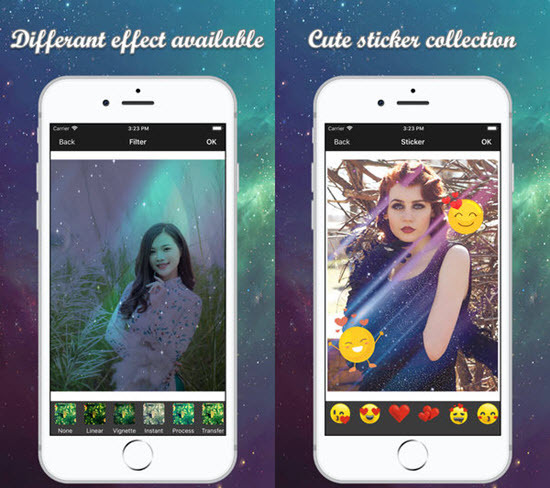 The Space Effect image editor is among your best options for creating trippy photos on iPhone. It is a free app that is easy to use and understand even for the non-technical person. You can choose among many filters and textures that you can apply on your images. You will have no trouble in customizing the transparency, pattern and shades of the filters. Users can even overlay multiple color frames on their photos. 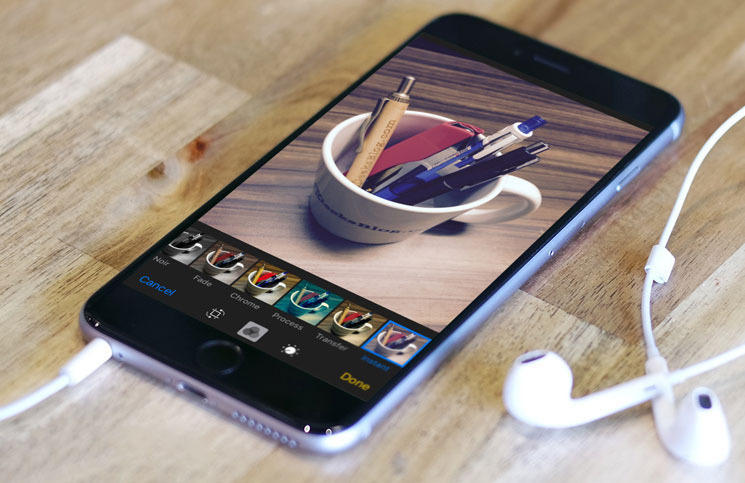 In a way, it also acts like a social media platform as you can share your edited photos to other users. You can also view and like the photos of others in the platform. As one of the more innovative items on this list, the Space Effect does not require you to pay anything; you can just watch an advertisement on it as a form of payment instead. With these excellent iPhone photo editing apps, you can easily transform your bland images into trippy photos. 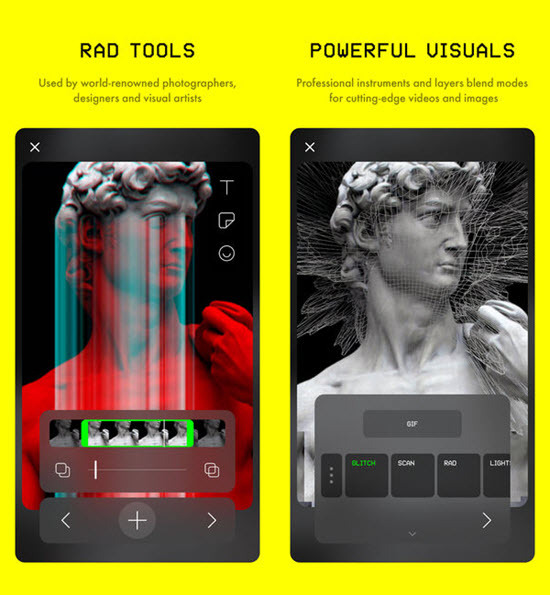 Each of the apps is armed with tools and features that can “glitch up” your photos into an artistic output. These seven options will give you enough choices that you can use on your iPhone device. You no longer have to learn major graphic design skills on more complicated software like Photoshop. If you have any other suggestion or questions, welcome to share with us by leaving comments.